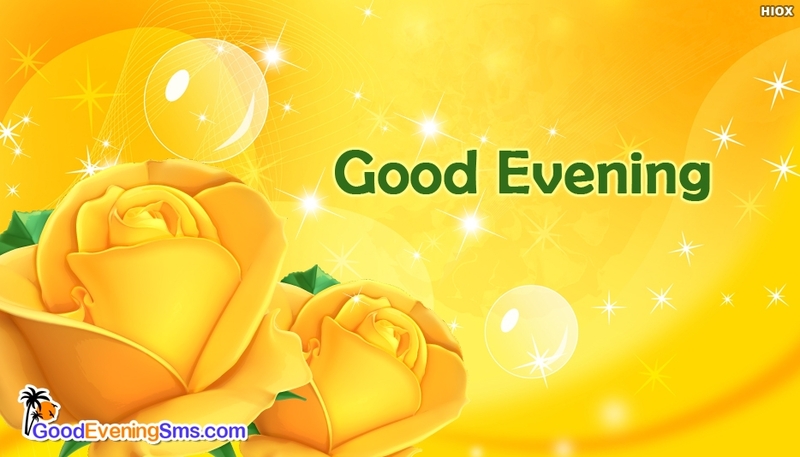 An yellow shades of sparkling good evening image for free download. Evening is the best twilight time to begin the celebration for the end of the day. Make your loved ones evening more brighter and warming with your good wishes. Kick start your chit chat section with your beloved ones by sharing this "Good Evening Yellow Rose" image through any social networking pages such as whatsapp, or facebook.